This our our largest unit. 3 large rooms and a bath. 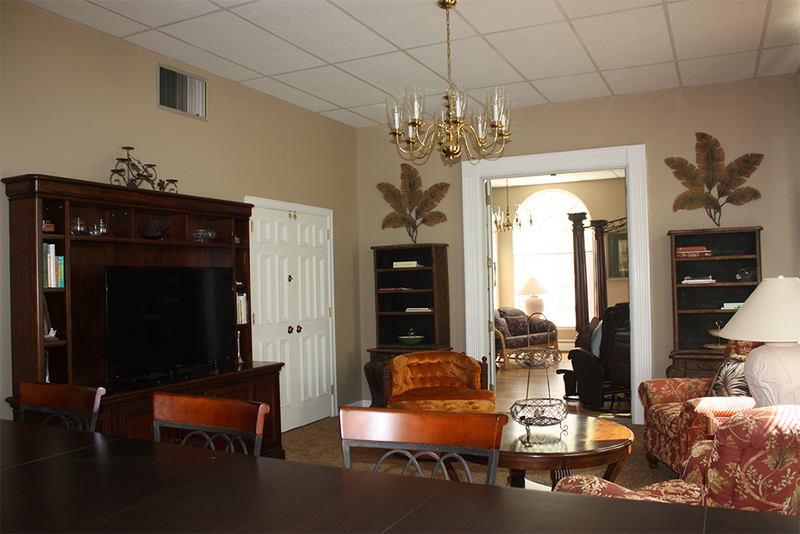 It was originally three offices that were combined to make an attractive apartment. When you rent it, it will feel like your home. 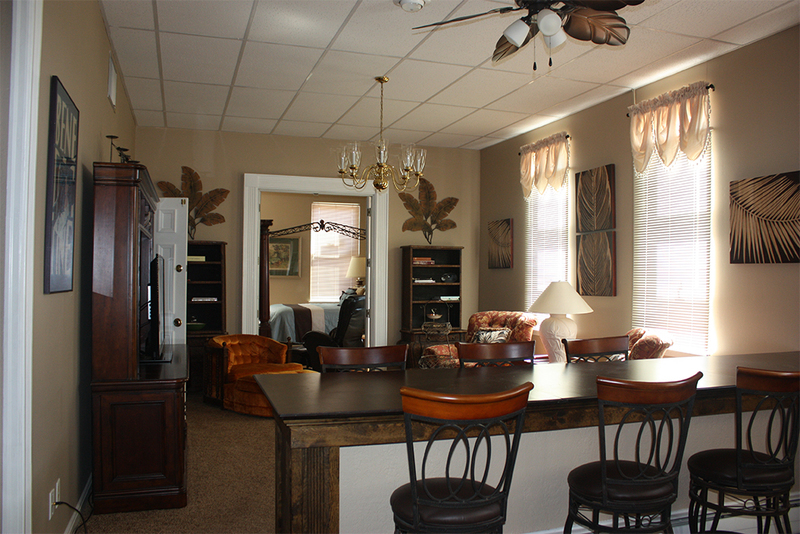 A large living area that has a 50 inch flat screen tv that is hooked to a cable box. 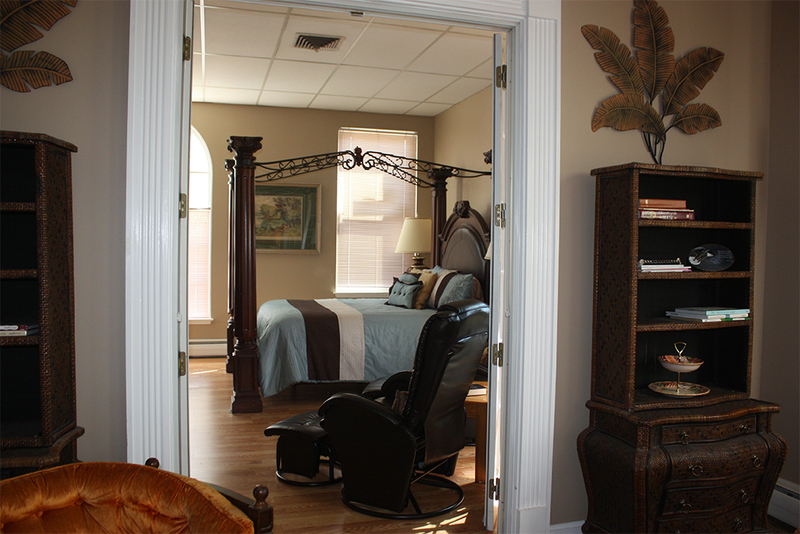 The bedroom also has a 42 inch flat screen tv. 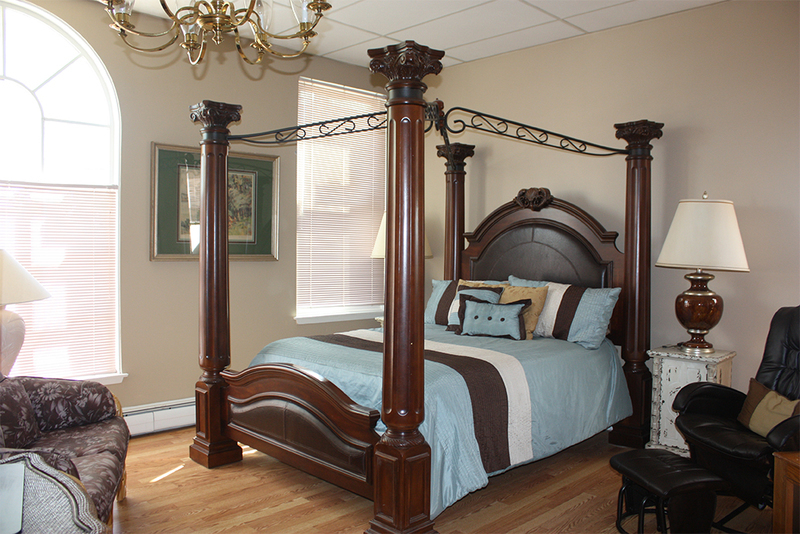 The bedroom is a light filled room that features a king 4 poster bed with a new I comfort series Tempur-Pedic mattress. It has a window air and heat and has large French doors that open unto the living area. The kitchen has everything you need to fix a family dinner. A large Island is between the living room and kitchen with 6 barstools. Your guests may have a glass of wine and watch you work, while tasting the food as you prepare it.